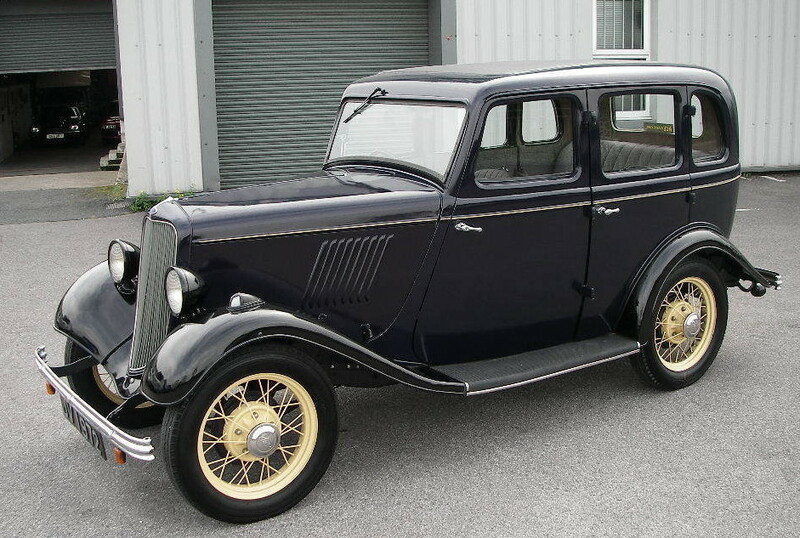 The FORD 'Y'&'C' Model Register was formed in 1979 to ensure the survival of the first small European Fords; the 8 HP Model 'Y' (including its German variant, the Köln) manufactured between August 1932 and August 1937, the 10 HP Deluxe Models 'C' and 'CX' manufactured between September 1934 and March 1937, and the German Model 'C' variant, the Eifel, manufactured between February 1935 and May 1939. ​Although of American Design, the Model 'Y' took the British market by storm. When it was first introduced, it made a major dent in the sales figures of Austin, Morris, Singer, and Hillman. It went on to thrash them soundly by taking over 50% of the 8HP sales. ​The Model 'Y' Ford was an instant success, but like any new car it was modified and improved during its lifetime. For the first 14 months the original model with a short radiator grille was produced, this is known as the 'short rad'. After this in October 1933 the 'long rad' Model, with its longer radiator grille and front bumper with the characteristic dip was produced. By gradually improving production efficiency and by simplifying the body design the cost of a Model 'Y' was reduced to £100, making it the cheapest true 4 seater saloon ever. Both 4 door (Fordor) and 2 door (Tudor) saloons were produced and these could be had either with a fixed roof, or the slightly more expensive sliding 'sun' roof. ​Also offered was an attractive 5cwt van which proved very popular with small businesses. Ford did not produce an open topped Model 'Y' car because it was thought that the chassis was too flexible, however several specialist coach builders produced a range of attractive Model 'Y' tourers. Some 175,000 Model 'Y's were produced worldwide and the 'Y' and 'C' Register has knowledge of approximately 1250 survivors. The larger and faster 10hp Model 'C' never sold in such great numbers as the Model 'Y' although there was a very attractive factory produced tourer. In 1935 the styling was enhanced with some small modifications and the model was designated the 'CX'. ​About 19,000 Model 'C's and 50,000 'CX's were produced of which about 160 have survived. As stated earlier, the Ford 'Y' and 'C' register aims to promote the continued existence and maintain a register of surviving vehicles and provides a spares service, of original and remanufactured spares, a bi-monthly magazine, technical advice and friendly gatherings for its members, with the emphasis very much on using and driving these little old Fords.